Meghan Simmons of Highland and Tyrel McClintock of Soldier announce their engagement and upcoming wedding. The bride-to-be is the daughter of J. Allen and Jane Simmons of Denton and Julie and Jim Bachman of Hiawatha. Her grandparents are Gary and Phyllis Koelliker of Highland, Theresa Peterson of St. Joseph, Mo. and the late J. Albert Simmons, formerly of Highland. The future groom is the son of Edward McClintock of Soldier. His grandparents are Marianne McClintock of Holton and the late Ted McClintock. Meghan is a 2005 graduate of Doniphan West High School in Highland. She received a nursing degree at Northeast Kansas Technical College and Dodge City Community College. She is currently employed at Highland Community College in Holton. Tyrel is a 2004 graduate of Onaga High School. He is employed as a ranch foreman for Dan Pollock of Havensville. 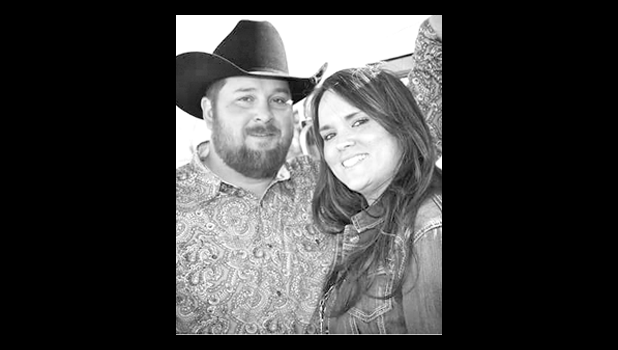 The couple will wed at 3:30 p.m. on Saturday, Oct. 15, at Shannon Creek Barn in Olsburg. A reception, dinner and dance will follow. The couple will make their home in Soldier.